My work celebrates the beauty of creation, the people and animals that I see around me, as well as the interaction between them. Wire gives me the freedom to draw in the air: it is so intriguing to see the line hold its shape without losing a sense of flow and delicacy. I love using the minimal amount of ‘lines’ to suggest the highlights of each creation and its character. I work with my hands, pliers and cutters alone to create my pieces: valuing the purity of this process. 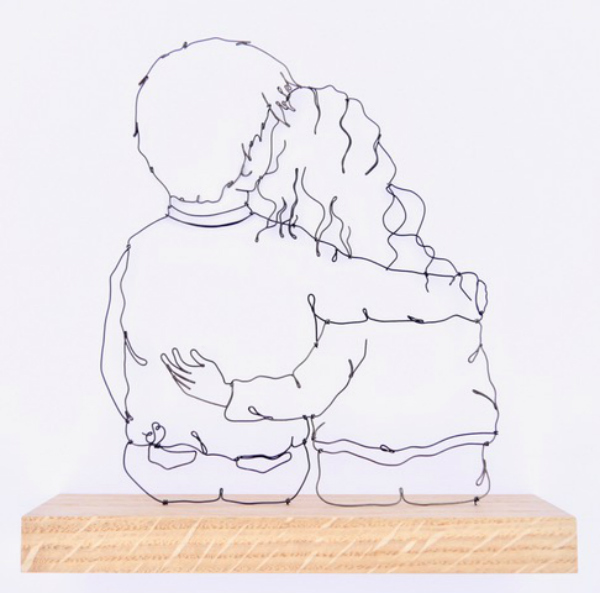 Wire adds extra depth to my 2D work, helping to bring such ‘drawings’ to life, while allowing me to explore the linear aspects of 3D forms to produce incredibly delicate sculptures.